Lauren Goodger is looking amazing in her latest Instagram post! If there is absolutely anything in this world that will keep you sticking to the ‘actually, I think I’ll just have a light salad’ mindset, then it is seeing someone looking smoking hot. We give you, Miss Lauren Goodger. We can’t help but notice how gorgeous 28-year-old Lauren is looking at the moment! The Essex beauty has been putting her two cents in at the gym- and it has certainly paid off. Repeat after us- jam doughnuts are for losers, jam doughnuts are for losers. Captioned ‘Good morning beautiful people #Friday #Pamperday #training #work’, the post is awash with compliments for Lauren (and her glow). ‘You’re looking amazing Lauren’, ‘Looking incredible beautiful!’, ‘you are looking amazing- well done for your hard work!’. Our awareness of the ‘Lara Croft work-out’ came about after a previous post from Lauren herself. 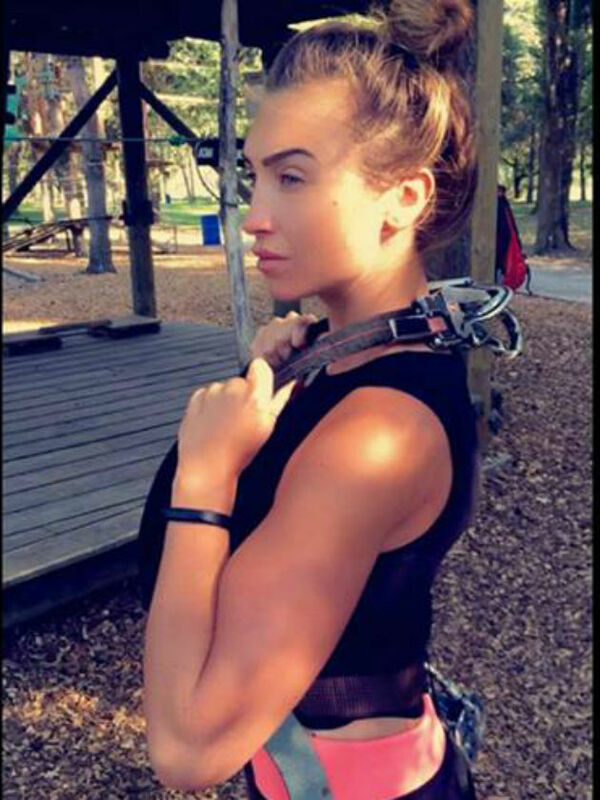 Captioned ‘Doing a Lara Croft’, Miss Goodger posted a snap of herself posing in a harness looking incredibly toned. We then put two and two together and decided this harness type activity must be the new thing in the world of fitness and will therefore be called the ‘Lara Croft work-out’. In actual fact- if Lauren’s Instagram is anything to go by- it would appear that the 28-year-old has a very sensible attitude towards weight loss. One post reads, ‘You can’t rush something you want to last forever. It’s long days but for the results I want… time and patience is everything‘. So with that being said, thou shalt not eat ten bags of crisps in one sitting! Good on you, Lauren. WATCH! Lauren Goodger’s guide to the perfect selfie.